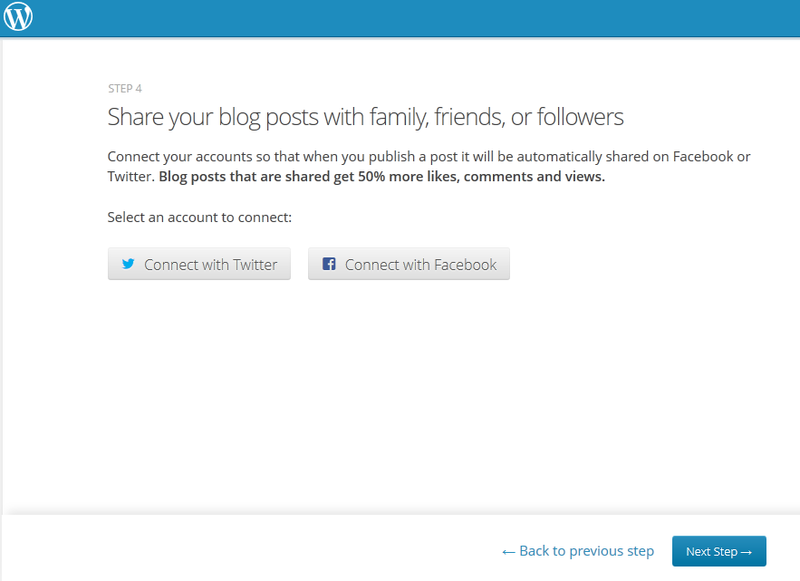 Some social plugins give you a total number of shares without specifying exactly where those shares came from. TablePress enables you to create and manage tables in your posts and pages, without having to write HTML code, and it adds valuable functions for your visitors. Adds two buttons to the TinyMCE editor to enable writing text in Left to Right (LTR) and Right to Left (RTL) directions. 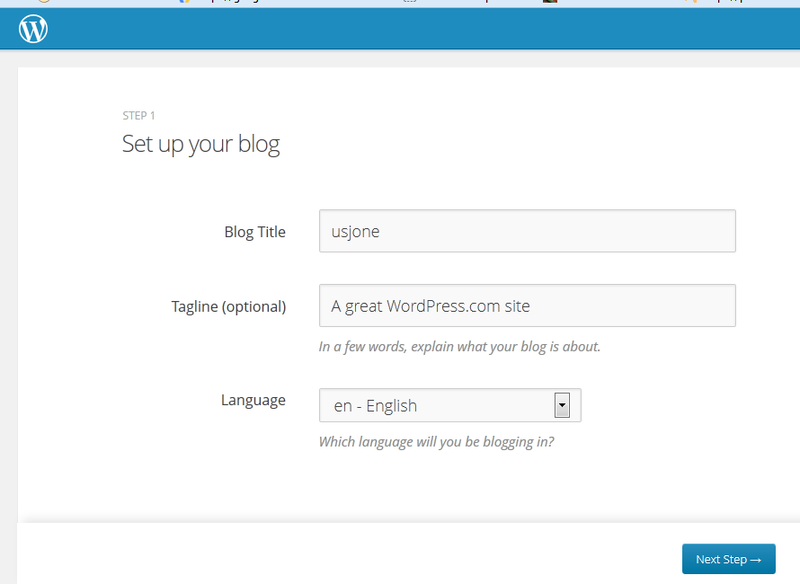 This tutorial will guide you through the steps to create a blog using WordPress. 1. 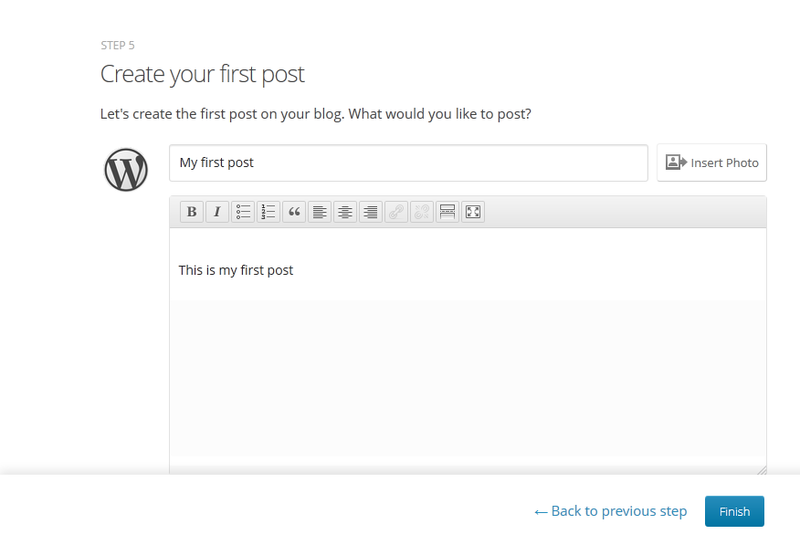 Go to http://www.wordpress.com and click on the “get started” button. 3. When you’re done, click on “Create Blog”. Note that you will be able to upgrade to the paid version from the back end (administration area) at your convenience. 4. Check your mailbox and verify your email address as soon as you possible. You have a two days limit for this. 6. 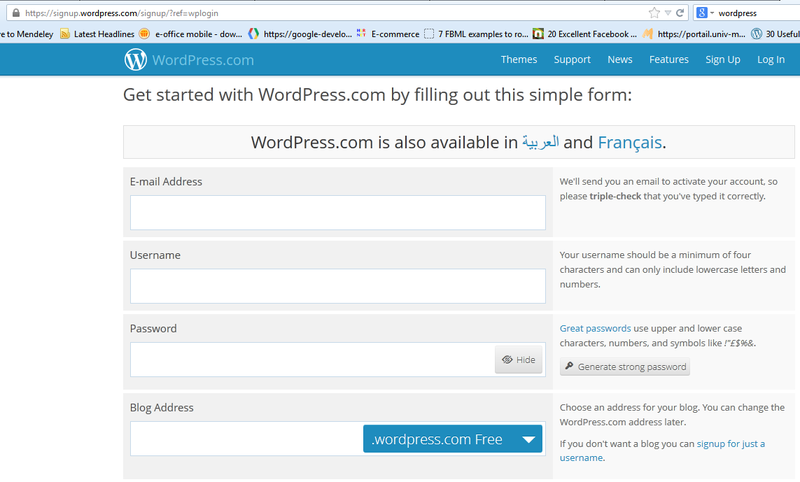 Go back to WordPress.com and log in to your account (if you’re logged out). Choose your blog title and tagline (these will appear in the header area of your blog – depending on the theme chosen and options). Depending on the method you’ve used to go back to the site, you may be redirected to the main page (step 11). 11. Remember to add a post category. This is very essential in a Blog for organization and readability purposes. 12. 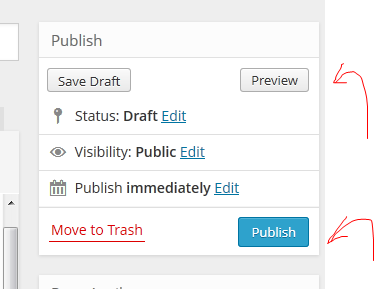 Click on the Publish button to publish your post (or the update button if you’re revisiting your post). 13. The next time you log in to WordPress.com, you will be redirected to your account page where you can have and manage different blogs. 14. On the “My Blog” page, you have your blog’s list and the option to add other blogs (note the “create another blog” option under “My Blog” on the left). 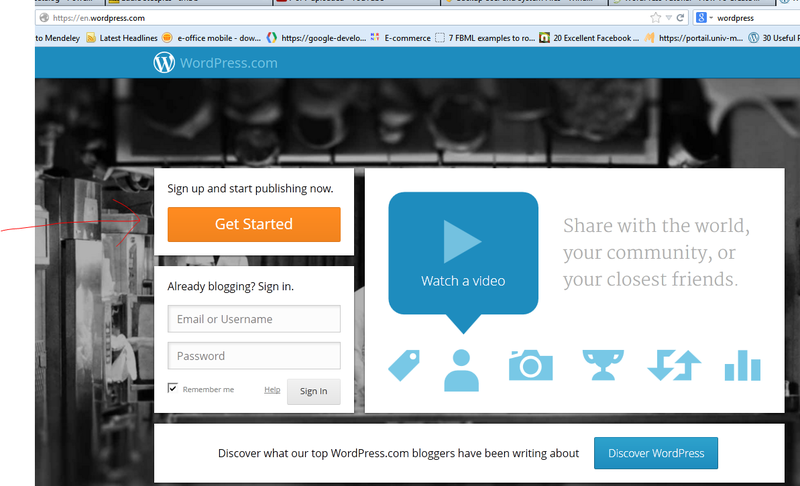 To access your current blog, click on it’s name. 15. This is your blog. 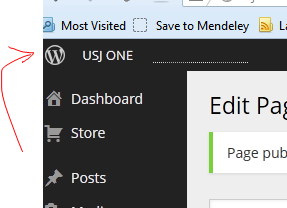 You can, at any moment, click on your username (upper menu) to access the Dashboard (Administration area). 16. There are two major types of publications: pages and posts. Pages are mainly static pages or pages that are not time-related, in the sense that they do not expire. For instance, your contact info, the description of the blog, your résumé. Posts, on the other hand, are time relevant. These can be recipes, new products information, news, comments, etc. 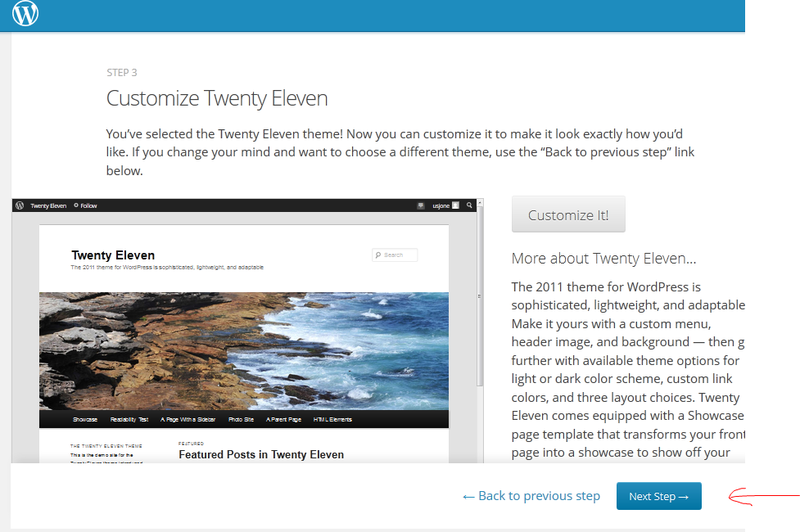 Create your first page under Dashboard > Pages. 17. Creating a page is very similar to writing a post. Just type a title and the content in the dedicated form. 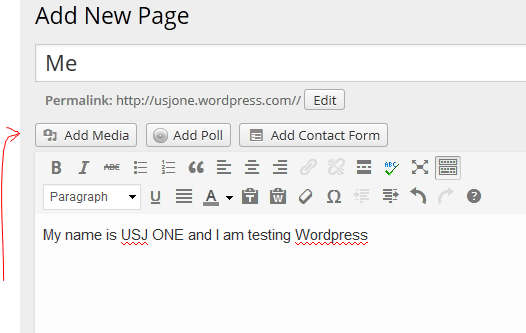 Note the “Kitchen Sink” button that will display an additional row of commands including “paste as text” and “paste from word” to remove any formatting or try to adapt the format from Microsoft Word to WordPress. 19. You can either drag-and-drop and image to the page or browse for it from your computer. Once it’s done, insert it into page. 20. Preview then publish your page. 23. 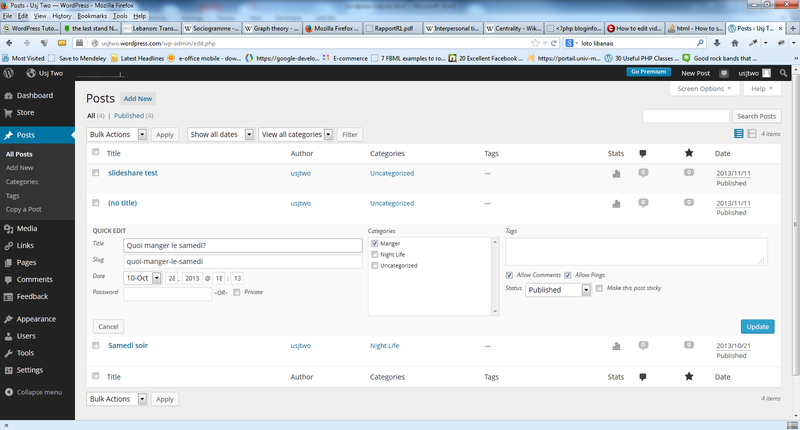 Drag and drop Pages, Categories or create custom Links. You can change the placement of menu items by dragging up and down or right and left (submenus). Once you’re done, rename the menu and save it. 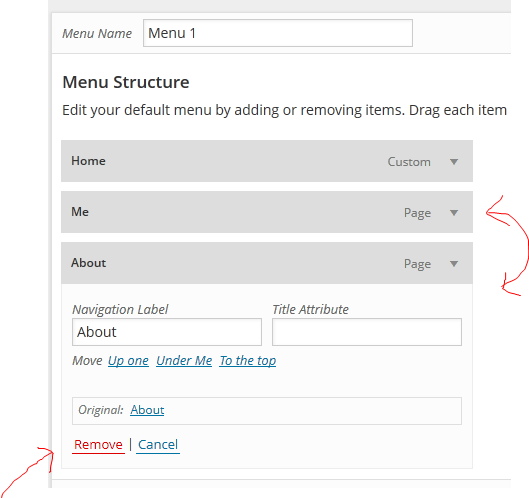 Note the “auto add pages” option to automatically add new pages to the menu and the menu location which depends on the theme you’ve chosen (some themes may have several menu placements – header, footer, section to the right, etc.). 24. The remove a menu option, click on the arrow next to it and click “remove”. 25. In the case of the 2012 theme, there is only one location, “primary”. 29. Go to Posts > all posts; Hover the post’s name; Click on Quick Edit. 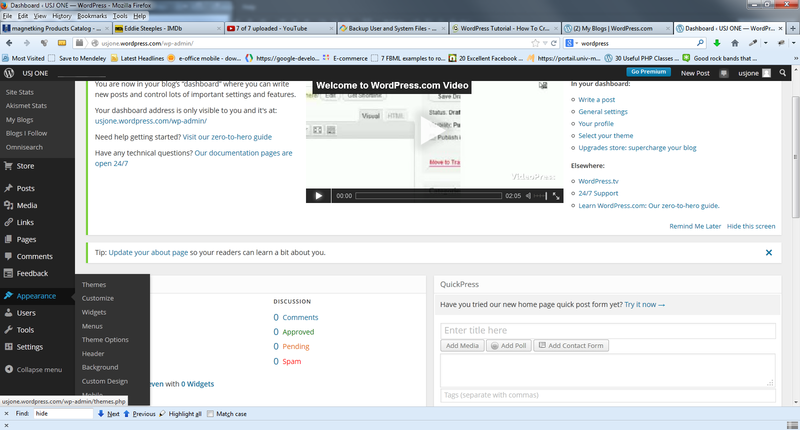 Here you can change the title, change the category, change the status, allow or disallow comments, etc. 31. Post slug is used to customize the URL (page address) of a post or page. Enter a few lowercase words separated by dashes, describing a post and usually derived from the post title to create a user-friendly (that is readable and without confusing characters) permalink. 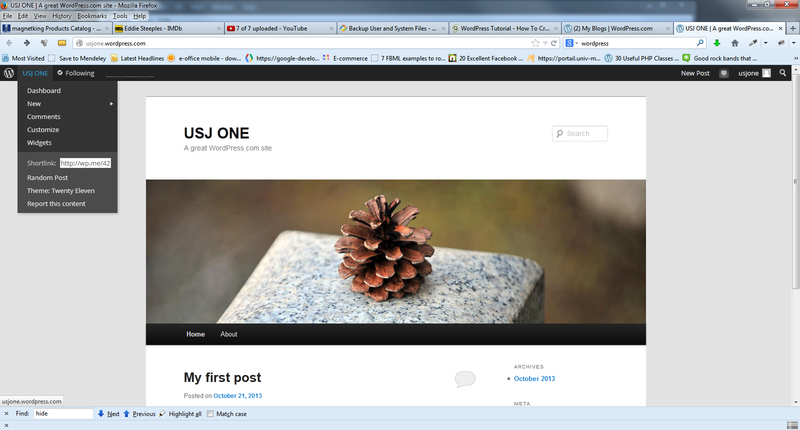 Post slug substitutes the “%posttitle%” placeholder in a custom permalink structure. Post slug should not be changed and is especially useful if the post title tends to be long or changes frequently. 32. 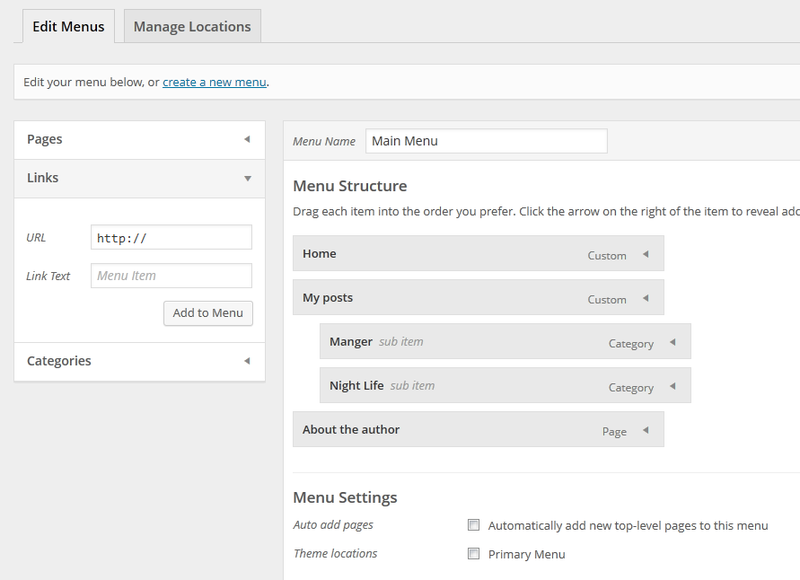 Switching blog layouts: you can change your template anytime via menu option appearance > themes. 33. Use appearance ? 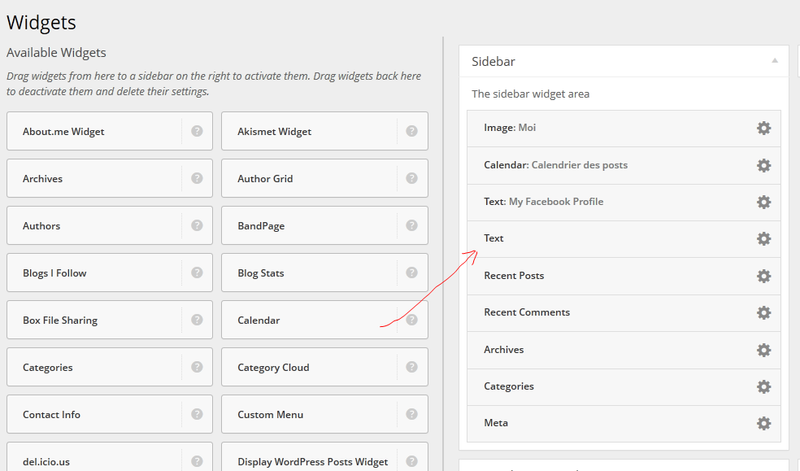 widgets to add interactive elements to sidebar. 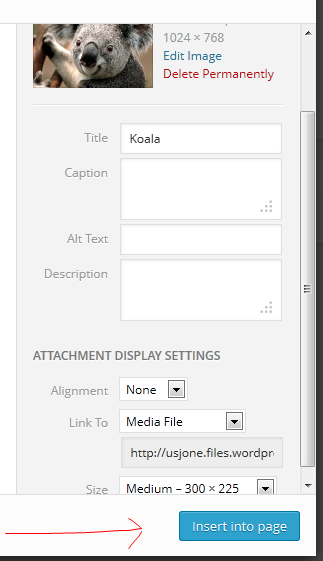 All you have to do is drag and drop items from the widgets area to the sidebar area. Note the “text” widget to add any time of text to the sidebar. 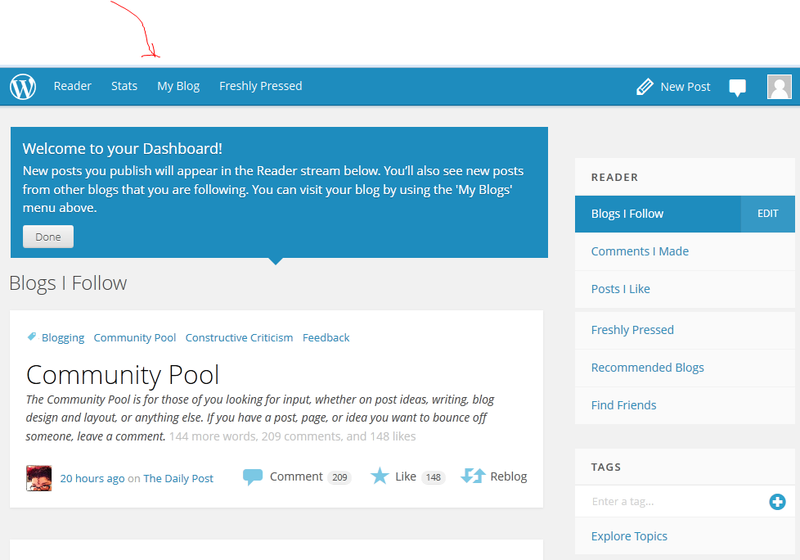 Also note the Top posts & pages that will display your most visited pages. 35. Go to settings > discussions and uncheck “allow people to post comments…” to disallow comments on all new posts. 37. Click on Users from the main menu. 41. 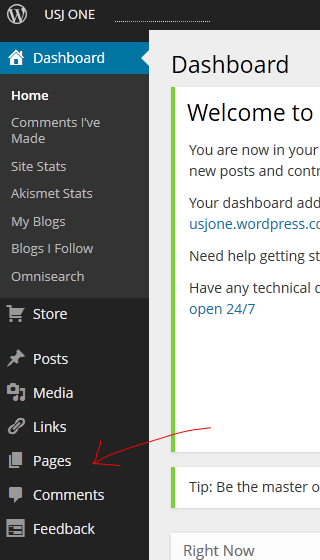 Go to Settings > sharing – In the top area, you can use OSN connect log in to automatically inform your OSN followers and friends when you publish new posts on your blog. 1. Click the Share link under the video. 2. 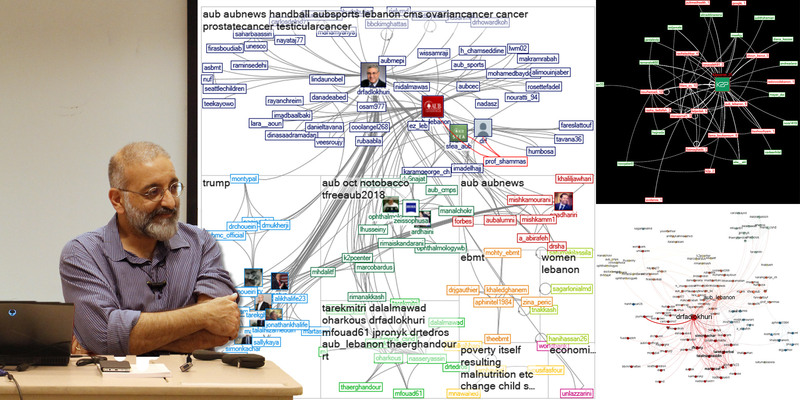 Click the Embed link. 3. Copy the code provided in the expanded box. 4. Paste the code into your blog or website. 2. Click the playlist title you’d like to embed. 3. Click the Share link. 4. Click the Embed link. 5. Copy the embed code that appears in the menu below. 6. Paste the code into your website or blog. I recently had to work on a Catch Everest Free theme based WordPress website and it was impossible to find any reference on the web to how to customize the footer to add my own credits.